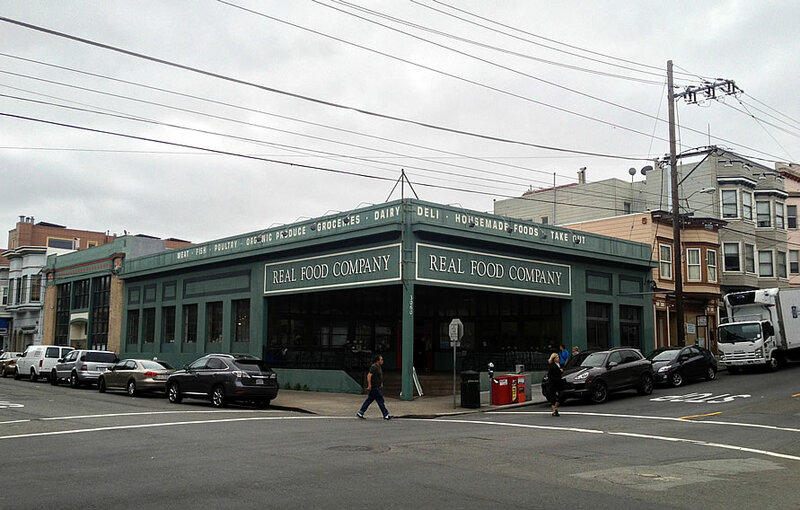 Plans to convert the shuttered Real Food Company building on the southeast corner of Fillmore and Filbert into Shake Shack’s first outlet in San Francisco, as we first reported ten months ago, could be approved in three weeks time. 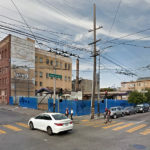 And as we first revealed seven months ago, the proposed redevelopment of the 12,000-square-foot building includes a 900-square-foot coffee shop fronting Filbert and a 6,600-square-foot Rumble Fitness, the SoulCycle of boxing studios, as well. We’ll continue to keep you posted and plugged-in. Amazing how long it takes to open a burger joint in this town. As an aside, while many bemoan NEMA in Mid-Market for not filling it’s rental space, they were trying to work with the city for just under a year to get an Orange Theory gym opened in their slot, and it was JUST approved a month or so ago (and they are starting a build-out). For how many vacant storefronts we have in this city, it’s unreal how long permitting can take to open up a retail use in an existing structure. It’s ridiculous. I’m not sure when Shake Shack planned to open their Seattle site, but i’m guessing it was after they chose the Bay Area. 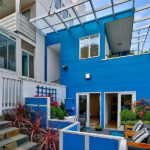 Seattle’s is in a stand alone building that is completely built out and is already open for business in a little over a year. Look how long it’s taken Philz to put up signs that they are coming to Polk street on Russian Hill. They’ve barely started building it out and it’s been months since the bookstore moved out. 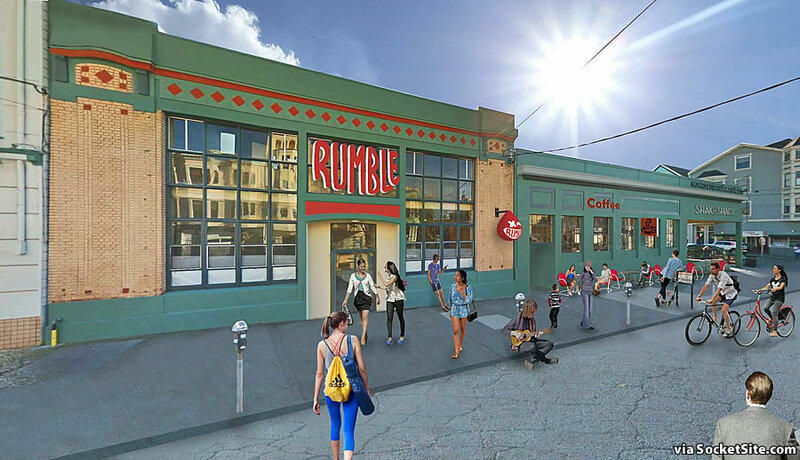 Philz and a Tea Cafe are going into NEMA. Always gives me a chuckle to see the people populating the renderings wearing shorts. Why? It’s mid-November and I’m still in shorts. Marina is definitely shorts territory. Highest concentration of Chubbies shorts per capita, easily. There’s even a Chubbies store on Union Street. Do you? I wonder if you still will during our new nuclear winter reality. Just kidding for the most part. But I do think this high desert type climate feel that we’ve had so much of the time over the past few years is pretty doggone cold. Great! More mil-idiots in my neighborhood. And will be so easy to park with all the empty spots! 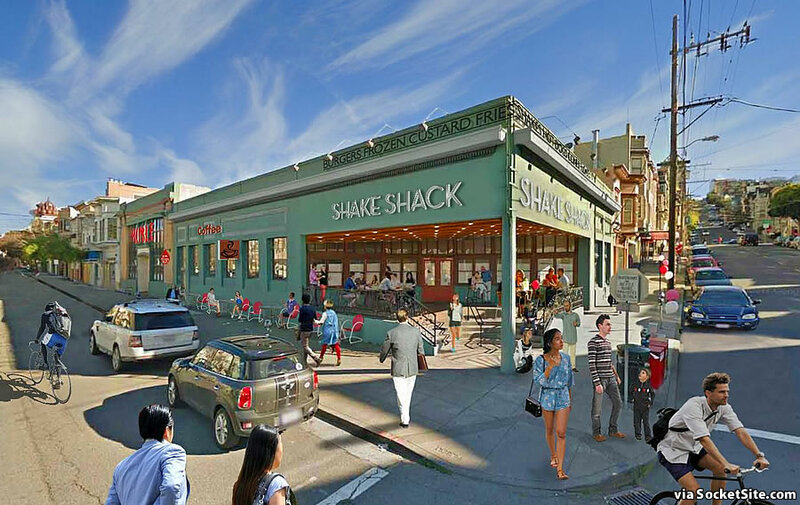 What happened to the Shake Shack in Daly City (maybe Colma)? it was opened for 6 months and closed and we never heard a word about it. It sits there empty with a “for lease” on it. And the couple times i went there the food was GOOD! Are you thinking Steak ‘n Shake? Also, a burger place like Shake Shack would never open in Daly City or Colma as their foray into the Bay Area. Where are the X’ER s? Why do the renderings only ever show Millennials? Sniff. Do they want us dead ’cause we’re kind of old n’ ugly?